A new day presents a new opportunity. 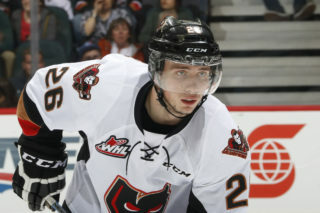 The Hitmen and Hurricanes continue their best-of-seven series in the opening round of the WHL Playoffs, with Game Two Saturday night at the Enmax Centre. 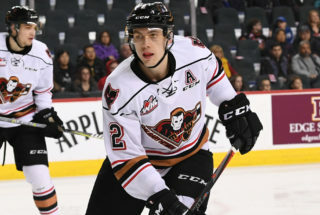 Lethbridge took the opening tilt with a 3-2 overtime victory in a tightly contested tilt which saw the Hitmen drop to 30-20 all-time in overtime games in franchise history and 24-20 in 44 Game 1’s. 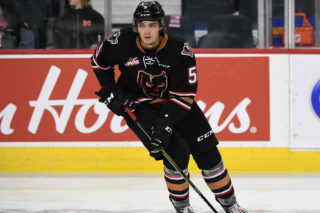 Despite the setback, a lot of positives were taken away from the bout as the Hitmen were able to prevent it from becoming a wild scoring affair compared to when the clubs met in the regular season and combined for 59 goals in six games. The Hurricanes may have drawn first blood, but it’s a long series. 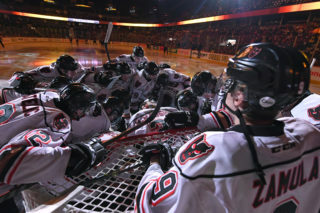 “I was proud of the effort, I thought it was excellent but it just didn’t go our way,” head coach Steve Hamilton said. “The experience we got was important and now everyone knows what playoff hockey is all about. There was an excitement to play and now the challenge is to keep a level headed approach and wipe the slate clean. 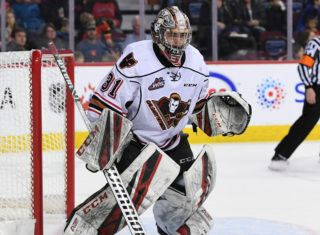 The two Hitmen markers Friday night saw both Mark Kastelic and Devan Klassen score their first career WHL playoff goals while Jack McNaughton was sensational in his playoff debut ending with 30 saves. 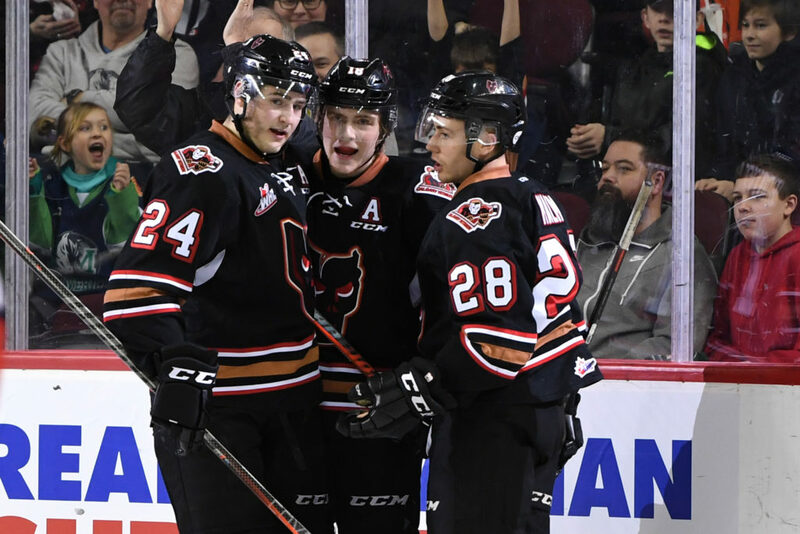 In addition to the strong goaltending and defensive play, all four lines for the Hitmen contributed throughout the night, a luxury for the games to come. “There was a lot of energy and life inserted into our game when we were finishing hits and applying pressure on the forecheck,” Kastelic said. “Anyone can step up at any given moment in playoffs and everyone is capable of making an impact. The focus is now to even up the series headed back to Calgary for Games 3 & 4 Tuesday and Thursday night respectively at the Scotiabank Saddledome. And to do so, the message headed into the tilt is simple. “There’s going to be mistakes over the course of the game but you can’t let it define the whole game,” Hamilton said. “We need to continue to harp away as a team and have the same effort to even the series up.